Each specialized for different types of facial hair. Don?t miss flat lying hair or hair growing in different directions. Fewer strokes mean less skin irritation. It?s that simple.Titanium is an extremely durable metal and highly resistant to corrosion. Plus, it makes quite an appearance. That?s why Braun uses it for the coating of the trimmer. 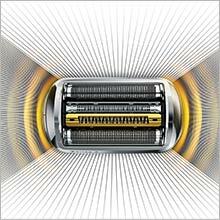 Braun?s patented technology reads and automatically adapts to your beard. 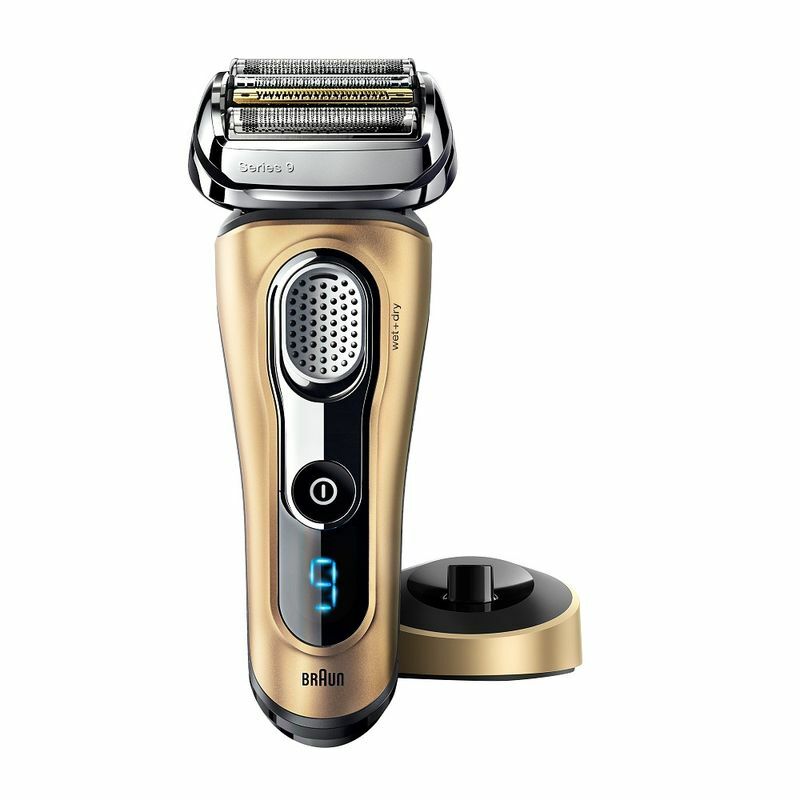 For denser spots, the shaver provides extra power exactly where you need it. With its fully flexible head and floating shaving elements, Series 9 gently adapts to your skin and captures more hair in one stroke than any other shaver. ?Easy storage-The new premium charging stand minimizes the space you need in the bathroom and ensures your shaver is always fully charged. And it makes quite an impression. ?Shave wet or dry - With Series 9 you can shave dry or use water, foam or gel for even better gliding and a smoother skin feeling. ?100% waterproof- Experience premium German engineering quality. All Braun shavers are waterproof up to 5 metres, so you can conveniently rinse them under running water or even shave under the shower. 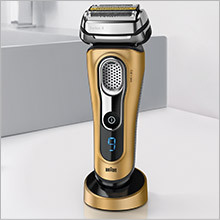 ?50min cordless shaving-The state-of-the-art Li-Ion battery never loses performance and fully recharges in one hour. The premium LED display counts down the remaining minutes of shave time. Explore the entire range of Shavers available on Nykaa. 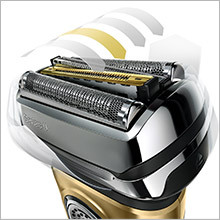 Shop more Braun products here.You can browse through the complete world of Braun Shavers .